As a result of trades and promotions, the Reds farm system is thin at the upper levels and short on overall impact prospects. However, there a few prospects who could develop into valuable pieces if they can manage their remaining development risk. Carlos Contreras is one such prospect who fits that description. 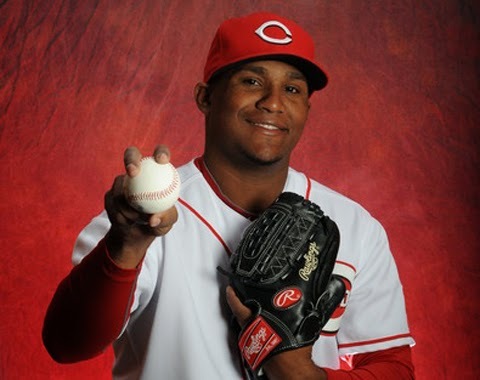 The Reds have done a nice job of supplementing the farm system with prospects signed out of Latin America. Curiously enough, aside from Aroldis Chapman, they have had better success with the inexpensive signings (i.e. Cueto, Gregorius, Corcino, Contreras, etc) than they have with the more high profile signings (i.e. Yorman Rodriguez, Juan Duran, etc). For the Blue Wahoos, Contreras actually found a bit tougher sledding. He actually dropped his ERA, but his peripherals took a tumble. He worked 42.1 innings over 8 starts, posting a 2.76 ERA, 1.35 WHIP, 4.5 BB/9, and 5.5 K/9. He'll obviously need a return engagement in double-A, but overall it was a strong season and a significant step forward in his development. In the middle of his 2013 season, Contreras made an appearance in the MLB Futures Game. During his appearance, Contreras worked exclusively out of the stretch. Of course, the first batter he faced reached base and there were runners on base the rest of the time, but he still started off the inning out of the stretch. Maybe not surprising given his bullpen background, but maybe reflective of a lingering reliever mindset. Contreras has some work to do, but for now he lands at #12 on the list. 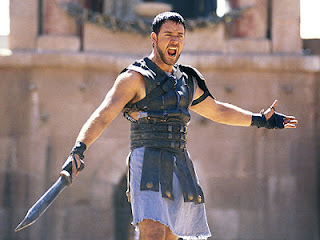 On MLB, Maximus Decimus Meridius, and the Power of "Reasonableness"
Over on the message board side of things, I recently had an interesting conversation about politics. The discussion started off being largely about drone attacks and due process, but evolved into a broader discussion of the balance of power between the executive and legislative branches. The point was made that Americans should fear an executive branch that has the power to deem someone an "enemy combatant" and order a targeted killing without any other branches having the express ability to check the executive's authority. Basically, that the lack of direct institutional safeguards means that there is simply too much power vested in the executive. "When Congress and the executive clash about the meaning of those powers, there is no neutral way to decide who is right." Given the separation of powers in our government, no branch, in theory, has more power than the others. If the President and Congress adopt differing interpretations of a constitutional issue, then there's no tiebreaker. Both branches just sit there, eyeball-to-eyeball. You'd think that would potentially give the executive branch unchecked authority under any reasonable constitutional interpretation. Who could or would stop it from acting under that interpretation? No structural resolution exists. And, yet, the system works. Somehow, the actions of the executive are confined within acceptable limits. Those limits are not established by checks-and-balances of other branches of government, rather they are imposed by reasonableness. The press, public, and the ingrained rule of law operate to ensure that the actions of various branches of government do not exceed reasonable limits. The ultimate power of a government derives from the people, so if the people determine that a government's actions exceed reasonable limits, then they can retract their consent to be governed. If that happens, the government loses legitimacy and likely collapses. This reasonableness concept doesn't apply solely to politics. The larger point is that power derives from the masses. And, inherent in situations where power is derived from the masses is the existence of a reasonableness limitation. Success in politics, business, and religion is largely driven by the ability to get the people to buy-in to what you're doing. To get the masses to authorize you to act on their behalf; to license your conduct. Success frequently depends upon your ability to scale your endeavor over a larger and larger consumer base. To successfully spread it from the few to the many. If success is derived from the license of the many, then failure is driven by the revocation of that license by the many. Politics: In a democracy this is obvious, as you have to get the majority of the votes to win the election. By it's very nature, politics is about convincing people to buy into what you're doing. Business: If you compare two wildly popular businesses, Five Guys Burgers and Fries and Facebook, then you can see the concept of scaling-up. Both are brilliant and wildly successful businesses. Both have increased their wealth by increasing their market-share, increasing the size of their respective consumer bases. However, if you were an investor, Facebook may have been the better bet for one simple reason: it's a much easier business model to scale-up. It's far easier for an online business like Facebook to grow from 100,000 customers to 1,000,000 customers than it is for a brick-and-mortar business like Five Guys. Five Guys has to invest in new physical locations in order to grow, while Facebook just has to add another server or two. Religion: In the first few decades of the 19th century, the United States underwent a period of religious experimentation. That period is frequently known as the Second Great Awakening. During that period, a number of homegrown religions emerged. One survived: Mormonism. Setting aside the question of the validity of the beliefs contained in those religions, which is largely irrelevant for our purposes, why did Mormonism thrive while the other homegrown religions faded away? In short, the religion was able to get more people to buy into it. Why do organized religions constantly seek converts? To spread "the word"? Undoubtedly, but in order to wield influence, or even survive, organized religions require the license of the many. A religion's secular power is driven largely by the quantity of followers. The clear takeaway from all of this is that: the masses can grant power, but they can revoke it if it's used in an unreasonable way. If you want to continue to wield the power and authority granted to you by your customer, constituent, or congregation, then you need to satisfy not only the express institutional requirements, but also the unwritten reasonableness requirements. "I think he knows what Rome is. Rome is the mob. Conjure magic for them and they'll be distracted. Take away their freedom and still they'll roar. The beating heart of Rome is not the marble of the senate, it's the sand of the coliseum." It's no different in Major League Baseball. There are, of course, direct institutional safeguards in place. The owner can check the authority/power of the organization's GM and President. Examples are easy to find. 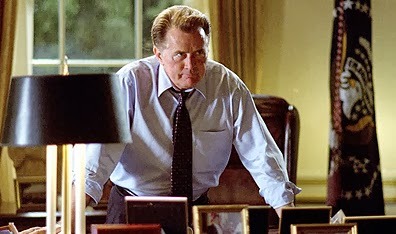 Think of Arte Moreno dictating to GM Jerry DiPoto that they sign Albert Pujols and Josh Hamilton. Think of every instance where a GM is fired for poor performance. Further, the league itself can check the authority/power of the owner/organization. Again, examples abound. Think MLB suspending Ted Turner or George Steinbrenner for improprieties; think MLB forcing Marge Schott to sell the Reds. However, above and beyond these institutional safeguards, there remains a reasonableness limitation. It's a limitation imposed by the fan base. Kansas City Royals: Trusting "The Process"? There are two recent examples of this reasonable limitation at work in Major League Baseball. First, and most obvious, is the Kansas City Royals. If you've been following along, the Royals fan base and blogger community slipped into an apoplectic rage when former hitting coach Jack Maloof gave an interview in which he claimed that hitting homeruns simply wasn't an effective strategy in Kauffman Stadium. That interview, given at a time when the team was underperforming at the plate and in the standings, was the final straw. After years of ineptitude, the front office went "all in" this year, trading uber-prospect Wil Myers for James Shields, a win-now move that was accompanied by assurances from the front office that THIS was the year. After that interview, the fan base could no longer buy-into front office exhortations to "trust the process" and "be patient". The uproar over that interview was so swift and unyielding that the organization clearly heard and feared the rumblings. The owners may still have believed in the front office. The front office may still have "trusted the process". The fans did not. "The process" was no longer reasonable. The organization acted quickly in the interests of self-preservation. 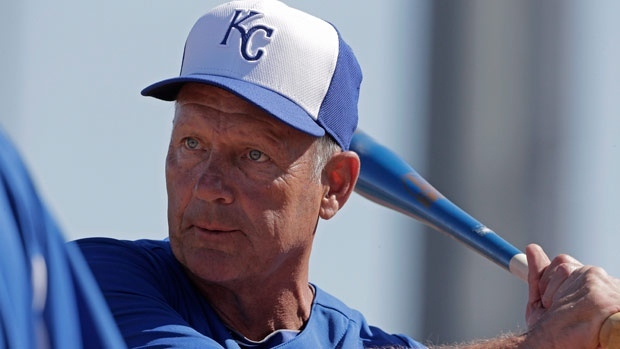 They fired/demoted the hitting coach tandem of Jack Maloof and Andre David and brought in the most famous and popular player in franchise history, George Brett, to fill the role and put out the fire. It was a clear last ditch effort to placate the fan base and salvage the season. It's fair to wonder whether the front office brought in Brett more for (1) his ability to impart hitting knowledge to the players, or (2) his ability to galvanize support from the fan base. The Royals tripped over the "reasonableness" requirement, forcing them to call in an organizational legend to save the day. To date, it seems to have worked. Playing meaningful games in September likely staves off what looked to be an inevitable regime change over the offseason. Whether George Brett actually helped jump-start the offense, especially Eric Hosmer, remains to be seen, but it is undeniable that he brought the Royals' operations back within those acceptable limits imposed by the fan base. Houston Astros: Playing to Lose? The second example is the Houston Astros. Given that MLB and owner Jim Crane have both sanctioned the scorched earth rebuilding process implemented by GM Jeff Luhnow, the institutional safeguards are not going to reverse that process. However, there is a danger that the organization will violate the reasonableness requirement and lose the power granted to it by the fan base. Like the Royals, the Astros have a limited amount of time that they can "play to lose". There is a tipping point. There is a point at which the fans will revoke their license from the ownership group. They'll stop attending games (more than they already have); stop buying merchandise; stop watching games on TV; stop caring. And, it's that last one that should be truly worrisome to the front office. There's a moment when the rumblings of the blogger community, twitter, and the mainstream media will gain so much traction that the organization won't be able to continue to operate as it has been. That is to say, they won't be able to make such a concerted effort to lose, and lose cheaply, at the MLB level. The only question with the Astros is whether their plan will bear fruit before the tipping point arrives. I'm a big fan of Jeff Luhnow, so I believe it will. But, he needs to be right in his decision-making. And, he needs to be right on a consistent basis, which isn't easy to do. Setbacks will delay the organization's progress and bring them closer to the reasonableness tipping point. 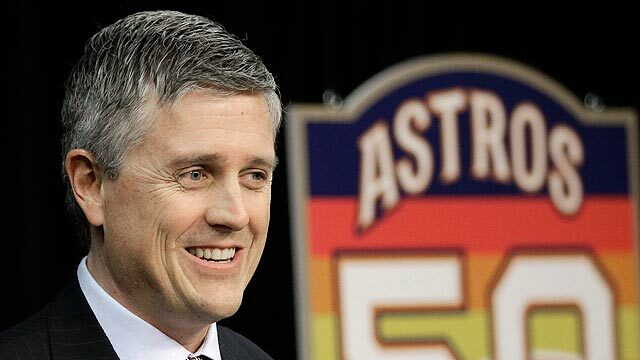 Not surprisingly, Luhnow seems to understand that his rebuilding plan will strain the tolerance of the fan base. Accordingly, he's made a conscious effort, as evidenced by this letter to his season ticket holders, to get out in front of the issue by communicating his plans to his customer base and ensure that they continue to buy-in to what he's trying to do. He understands that it doesn't matter how well he does what he does if he loses the fan base in the process. It's still failure. Of course, failure in baseball doesn't look like failure in other industries. In other industries, failure looks a lot like extinction. Your operations are wiped from the face of the earth, your remaining assets devoured by bigger, strong competitors. Your marketshare snapped up by organizations who are more efficiently and effectively run. In baseball, however, failure isn't extinction, it's irrelevance. In baseball, the reasonableness requirement only applies to organizations who actually care. Who care about winning. Or, who, at the very least, care about not losing so much that they become a laughingstock. Prior to this year, the Pirate organization was a perennial failure. After years of ineptitude, they lost the fan base, slipping from awful to irrelevant in the process. They were irrelevant. Revenue sharing ensured that the Pirates' ineptitude wouldn't bring about their extinction. Instead, they would fall into irrelevance. Profitable irrelevance. Similarly, in Miami, revenue sharing and a publicly financed boondoggle ensured that the Marlins and their odious owner would not go the way of the dodo bird. The loss of the fan base wasn't enough to force any real, substantive change, instead they continue to limp along collecting their revenue share from organizations who actually care about their business. The Marlins are the ultimate free-rider. Curiously, Major League Soccer is the scene of an interesting experiment. The Seattle Sounders are attempting to convert the informal reasonableness limitation imposed by the fan base into a direct institutional standard. The organization allows members of the fan Alliance, season ticket-holders or fans who pay a $125 fee, to vote on whether to retain or dismiss the general manager. They are increasing fan buy-in by giving them a direct, rather than indirect, voice in the operation of the team. The Sounders have been a massive success. To what extent that's been a result of giving the fans a direct voice is unclear, but it's an interesting recognition of the relationship between the club and the fans. In Major League Baseball, there remains an informal reasonableness limitation. While the collaborative nature of the professional sports and the safety net created by revenue sharing combine to ensure that the punishment for exceeding that limitation won't be as severe as it could be, those organizations who actually care about success, both on-the-field and on-the-books, would be wise not to exceed it.